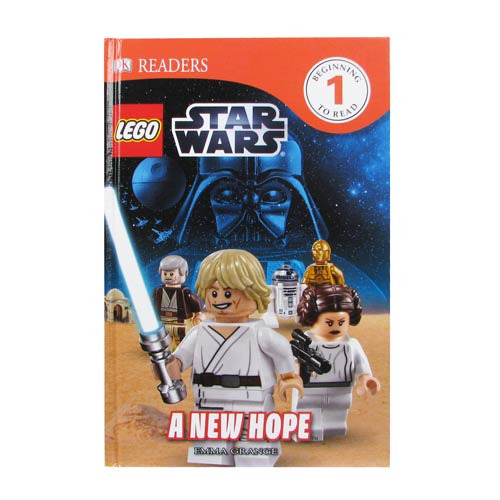 The LEGO Star Wars A New Hope DK Readers 1 Hardcover Book is the exciting story of the iconic Star Wars: Episode IV - A New Hope movie, retold for young readers with their favorite LEGO Star Wars minifigures and sets. This Level 1 Reader follows our heroes as they attempt to rescue rebel leader Princess Leia from the evil empire. Ages 4 and up! Spans 32 pages. DK Readers is a multi-level reading program guaranteed to capture children's interest while developing their reading skills and general knowledge.